What is Citrus Greening Disease? 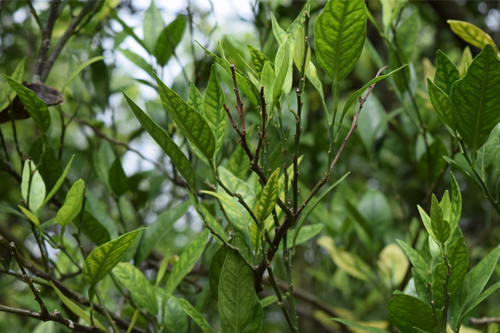 Huanglongbing (also known as citrus greening disease) is the major cause of crop and tree loss in many parts of Asia, Africa, and now nearly the entire American continent. Although this devastating disease has been known in China since the end of the 19th century, no sure has been found. The gold standard in finding antimicrobial agents is the ability to culture the responsible microorganism under controlled laboratory conditions. One of the main obstacles in advancing the search for treatments against the citrus greening bacteria, Candidatus Liberibacter asiaticus (CLas), africanus (CLaf), and americanus (CLam), is the inability to culture CLas. This standard scientific approach is out of the research communities grasp; consequently, efforts have headed in numerous directions of disease management and control in order to understand these complex bacteria. How Do We Plan to Cure Citrus Greening? Since 2013, our research team has been fully committed to finding rational and sustainable solutions for citrus greening disease. Our research strategy embraces short and long-term goals aimed to help the industry win the fight against citrus greening. Objective 1: Evaluate the efficacy of new chemical compounds that inhibit or kill Candidatus Liberibacter asiaticus, the causative bacteria of citrus greening disease. Our lab has identified several key CLas proteins that have been deemed critical for bacterium survival within the citrus host. Since these proteins are involved in significant biological processes, a biochemical approach was used to identify chemicals that inhibit these critical proteins in CLas. The inactivation of these proteins resulted in effective treatment of the disease. Using this approach, several known chemicals were identified as capable of diminishing CLas in infected seedlings maintained in a greenhouse. We are seeing promising results since transferring these treatments to groves in production. Objective 2: Evaluate mechanisms of greening resistance in new citrus hybrids developed at the University of Florida main campus. New citrus greening-tolerant varieties are being developed and propagated by Dr. José Chaparro at the University of Florida. These new hybrids represent an innovative advancement for the citrus industry. An economic analysis will include two primary activities: First, a traditional cost-benefit analysis of the compounds will be conducted to determine which compound has the highest net benefit per tree. Secondly, the construction of a dynamic bioeconomic model to determine the optimal, profit-maximizing use of each treatment in the field. A novel and target-specific antimicrobial treatment will have an immediate positive impact on the economic and social aspects of the citrus industry. The use of broad-spectrum antibiotics in our citrus groves can have devastating effects; conferring antibiotic resistance to other bacteria as well as disrupting the native and beneficial microbial community. The citrus industry, directly or indirectly, involves a large network of companies and workforces currently operating in the state of Florida. Because the citrus industry represents a large portion of the Florida economy, the recovery of infected groves will have a substantial, positive impact on the economy in Florida as a whole. What are Our Protein Targets? LdtR: A master regulator of gene expression. As a MarR family member of transcriptional regulation, LdtR can activate and repress transcription genome-wide and has been shown to be crucial in the mediation of osmotic stress tolerance. Benzbromarone was identified as an inhibitory of LdtR activity. PrbP: This transcriptional accessory protein regulates a small subset of ribosomal genes. Tolfenamic acid, which has been used to treat migraines, was also found to bind and inhibit PrbP. YbeY: The single-stranded endoribonuclease, YbeY, is found in most bacteria and has been shown to contribute to bacteria pathogenicity. We are working to characterize YbeY’s ligand binding site and enzymatic activity regulation in hopes of unearthing a pathogenicity determinant of CLas. LdtP: As a novel protein, LdtP has shown to be involved in an alternative pathway for the modification of bacterial cell wall. This periplasmic esterase can modify the lipid A moiety of the lipopolysaccharide, potentially affording CLas a means of survival within the citrus host. LotP: This previously uncharacterized protein was found to be induced >7-fold during the citrus host infection when compared to the phsyllid vector. As member of the LdtR regulon, LotP was shown to be induced under high osmotic conditions and to have specific interactions with chaperones. The significance and biological role of these interactions may be critical in CLas persistence within the host. This project encompasses a trans-disciplinary team brought together by the University of Florida with funding from the Specialty Crop Research Initiative (Award number 2015- 70016-23029 to GLL and CFG), and the Plant Biotic Interactions Program (Award number 2017- 03060 to CFG) from the USDA National Institute of Food and Agriculture. The team includes microbiologists, plant pathologists, agricultural economists, statisticians, bioinformaticians, and others working together to aid and support citrus growers, consumers and local citizens have healthy trees and delicious, safe citrus products. William Floyd, Lake County Citrus Sales, Inc.
Pagliai FA, Pan L, Silva D, Gonzalez CF, Lorca GL. (2018) Zinc is an inhibitor of the LdtR transcriptional activator. PloS One. 13(4): e0195746. Blaustein RA, Lorca GL, Teplitski M. (2017) Challenges for Managing Candidatus Liberibacter spp. (Huanglongbing disease pathogen): Current Control Measures and Future Directions. Phytopathology. 108(4):424-435. Blaustein RA, Lorca GL, Meyer JL, Gonzalez CF, Teplitski M. (2017) Defining the Core Citrus Leaf- and Root-Associated Microbiota: Factors Associated with Community Structure and Implications for Managing Huanlongbing (Citrus Greening) Disease. Appl Environ Microbiol. 17;83(11) pii: e00210-17. Pan L, Gardner CL, Pagliai FA, Gonzalez CF, Lorca GL. (2017) Identification of the tolfenamic acid binding pocket in PrbP from Liberibacter asiaticus. Front Microbiol. 8:1591. Loto F, Coyle JF, Padgett KA, Pagliai FA, Gardner CL, Lorca GL, Gonzalez CF (2017). Functional characterization of LotP from Liberibacter asiaticus. Microbial Biotechnol.10(3):642-656. Pagliai FA, Coyle JF, Kapoor S, Gonzalez CF, Lorca GL. (2017) LdtR is a master regulator of gene expression in Liberibacter asiaticus. Microb Biotechnol. 10(4):896-909. Gardner CL, Pagliai FA, Pan L, Bojilova L, Torino M, Lorca GL, Gonzalez CF. (2016) Drug Repurposing: Tolfenamic Acid Inactivates PrbP, a Transcriptional Accessory Protein in Liberibacter asiaticus. Front Microbiol. 18;7:1630. Pagliai FA, Gonzalez CF, Lorca GL. (2015) Identification of a Ligand Binding Pocked in LdtR from Liberibacter asiaticus. Front Microbiol. 25;6:1314. Pagliai FA, Gardner CL, Bojilova L, Sarnegrim A, Tamayo C, Potts AH, Teplitski M, Folimonova SY, Gonzalez CF, Lorca GL. (2014) The transcriptional activator LdtR from ‘Candidatus Liberibacter asiaticus’ mediates osmotic stress tolerance. PloS Pathogens. 24;10(4):e1004101.